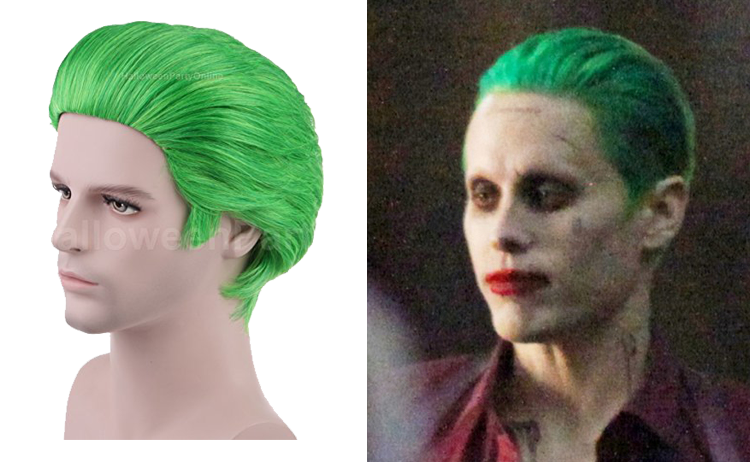 Green hair is probably the first thing you need to start to look like the Joker. This wig is perfect, you can also buy some green hairspray if you have long hair. Cheap good looking custom fitting silver plated grillz. 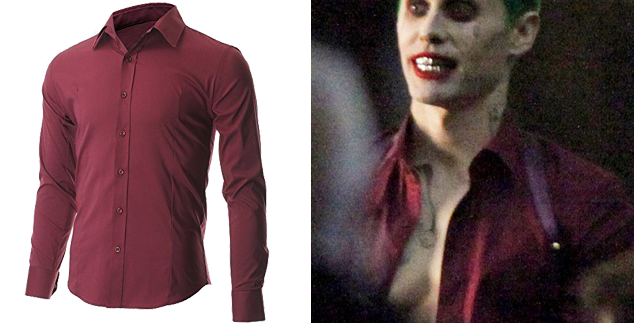 Slim fitted wine shirt you should wear with three to four open buttons. 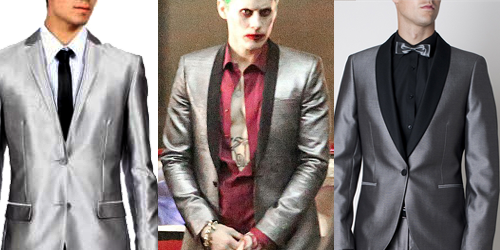 The official suit of the Joker is the Silver Tonic Dress Suit by Ventuno 21 with contrast black marcella shawl collar and it is, unfortunately, discontinued. If you are very lucky there may be a few left in specialized stores (around $150). You can also get this two piece suit, which is a pretty close match for cheap and nice quality. 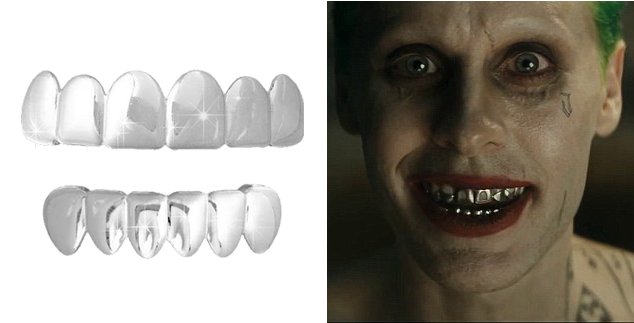 If you are going for the promo look of the Joker you have to get all the details right. 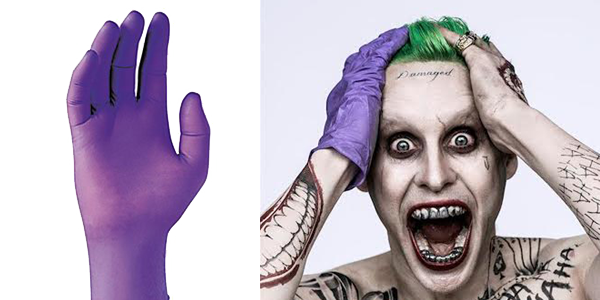 These disposable purple latex gloves are durable and it is very likely they are the same Jared Leto used for the photoshoot. Take one to two size over yours to get the same effect. 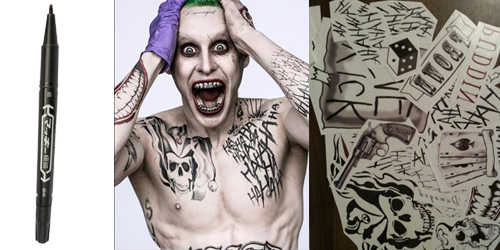 After some controversy, the Joker definitely will have tattoos. So, either you know someone that draws pretty well and buy these skin safe markers, or you can download these temporary tats and print them on special paper.